Let me be transparent from the outset: the authors of the Gospels did not imitate Vergil’s Latin epic. . . . [Rather] the Evangelist was aware of the Aeneid and shaped his book to rival it. The affinities between Luke and Vergil thus pertain to genre or, better, to narrative structure and development, not to imitations of particular episodes or characterizations. MacDonald, Dennis R. (2014-11-05). Luke and Vergil: Imitations of Classical Greek Literature (The New Testament and Greek Literature) (Kindle Locations 101-107). Rowman & Littlefield Publishers. Kindle Edition. Luke has endeavored to interpret the underlying meaning of the whole of Christian history — and in a manner surprisingly analogous to Virgil’s interpretation of the meaning of Roman history. Bonz, Marianne Palmer (2000). The Past as Legacy: Luke-Acts and Ancient Epic. Fortress Press. This post is following up a point I touched on the recent interview: a possible link between the Acts of the Apostles and the famous founding epic of Rome, Virgil’s Aeneid. It’s an intriguing idea. I know of a handful of scholars who have published positively about the possibility though I understand most do not accept it. Here are my own reasons for my suspicions that the author of Acts had in part an emulation of the Aeneid in mind. The “in part” qualifier points to indications that the author was interested in depicting the founding of the Christian movement as pointing towards both a New Jerusalem and a New Rome as one. Monuments to Aeneas became almost as common as those to Romulus in the wake the Aeneid‘s entrance into the world. 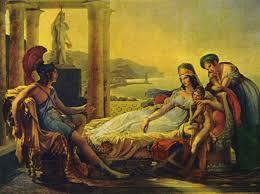 Poets, story tellers and historians were influenced by Virgil in general and his Aeneid in particular. I’m not referring just to literary style but especially to what Tarrant calls an “ideological engagement” (pp. 63, 64). Subsequent authors would strive to revise or reapply Virgil’s message about the greatness of Rome finding its culmination in the reign of Augustus. 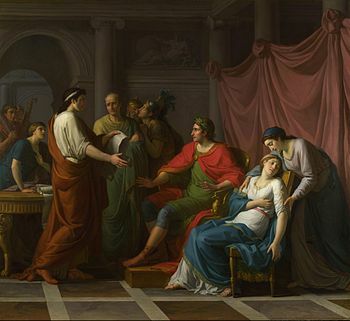 One poet adapted Virgil’s message to argue that Nero was the true turning point in Rome’s history. A later historian inverted the Aeneid’s message to reject entirely the dynasty that had produced both Augustus and Nero and to promise a pessimistic future for the empire. Nor was the influence uni-linear. Emulators did not attempt to re-do Virgil’s style but engaged with his ideas and expressed them through a wide spectrum of the styles of other writers, in poetry, drama and prose. This new people emerges by incorporating former enemies, the Trojans and Italians become one; Jews and gentiles become one; the Trojan refugee Aeneas wins Greek allies and Paul gains the favour — and the conversion — of Roman officials. Divine destiny guides both the progress of the Trojan refugees led by Aeneas and the Christian movement led by the apostles and Paul and guarantees that all human obstacles are overcome. Readers interpret each in the light of events known to have followed. Another striking similarity to anyone who has read both works (and one that Taylor addresses earlier (p. 86)) is the prophetic driven plot. In both we find prophecies of the successful accomplishments of the “new people” and are assured repeatedly of their inevitable fulfilment. Rome is to grow an empire that will bring civilization, law, piety and peace to the world; God’s new people will take their message of peace and a new kingdom to the entire world. Once Paul is settled in Rome and poised to preach the gospel from there to the highest powers in the empire, we can be satisfied in one sense that the entire world has in effect been reached. I think most of the above similarities can be readily noticed by anyone who reads the Aeneid while mindful of Acts. But there are other details that invite us to wonder if the author of Acts was waving to draw our attention to a comparison of similarities and differences with the foundation epic of Rome. Just as readers of Acts reach the cusp of the church’s expansion to the gentiles (Acts 10 — Peter’s vision and baptism of Cornelius) we find Peter healing an Aeneas in the city of Lydda. The name Aeneas is familiar enough; but is it going too far to wonder if the author has chosen Lydda as the scene in order to remind us of Troy, the city that had once in mythic times dominated Lydia? Peter then gets a message from the saints at Joppa concerning the illness (and apparently even the death) of a woman named Tabitha, “which by interpretation is called Dorcas”. Joppa is known from the Jonah story. It was the port from to which Jonah fled to avoid taking God’s message to the centre of the imperial power of his day, Nineveh, capital of Assyria. (In the story God overturned Jonah’s intentions to flee westward to Tarshish and returned him to Nineveh, as we know.) So we may have in Joppa a faint association with the time when the message is to be taken westward and to the centre of the Roman world. But why are we told Tabitha’s name means “Dorcas” — or a roe, a female deer? Two passages in the Aeneid (I know the Aeneid was composed in Latin, but see above for its influence well beyond its primary literary circles) raise a possibility in my mind. The turning point of the Aeneid is book seven when a Fury (Alecto) stirs up strife between the indigenous Latin inhabitants and Aeneas’s newly arrived Trojans. The critical incident that sparks immediate bloodshed is the slaying of a deer well-beloved (like Cecil the lion) by the locals and cared for especially tenderly by Sylvia. Sylvia is even said to have woven garlands around its horns. There is no healing of this deer and war ensues between the two peoples over its death. There is no doubt that Vigil is describing Dido with the imagery of a slain deer that anticipates the literal slaying of the deer that sparks the outbreak of war. 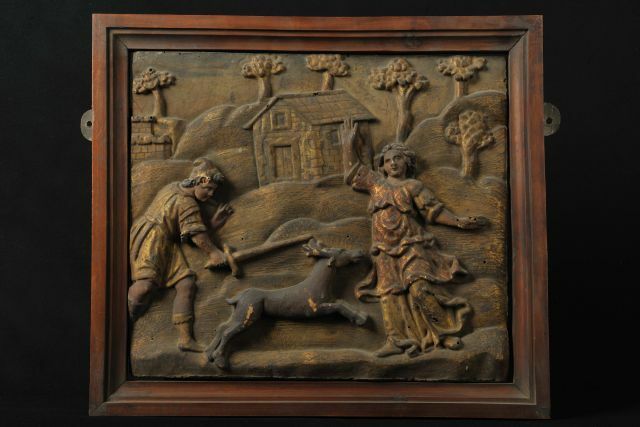 The deer, Sylvia, Dido — all are renowned for their kindness and giving of joy to others through their good works. These scenes of the twin healings, of Aeneas and a roe, set in Lydda and Joppa, are sandwiched between calls to take the gospel to the gentiles. Just before to the healing of Aeneas we read of Paul’s conversion and commission to preach to gentiles; immediately following the healing of the woman named Roe we come to Peter’s vision to open up baptism to a Roman centurion and all gentiles. If this is an instance of literary chiasm we have an additional literary warrant to interpret Peter’s encounters in Lydda and Joppa as proleptic of the conversion of the gentiles more generally. Do not the details of the personal and geographic names suggest the author was positioning his story to dialogue with the well-known national epic of Rome? Michael Kochenash has proposed that Luke’s translation of the name Tabitha as Δορκάς, “gazelle” (Acts 9: 36) links her with Dido, largely because the preceding story in Acts is the healing of a cripple named Aeneas, a Greek transliteration of the Latin spelling! Both Dorcas and Dido are generous widows whose bodies other women took to their private chambers (cf. Aen. 4.391– 392 and Acts 9: 37). Both women died, but Peter raised “Gazelle” back to life. MacDonald, Dennis R. (2014-11-05). Luke and Vergil: Imitations of Classical Greek Literature (The New Testament and Greek Literature) (Kindle Locations 6405-6408). Rowman & Littlefield Publishers. Kindle Edition. The affinities between Luke-Acts and the Aeneid may shed light on the elusive identity of the stated recipient: Theophilus, “lover of God.” Scholars often have viewed this name as a veiled reference to Luke’s readers and not to a historical character, but most modern interpreters have rejected this explanation in favor of taking him as Luke’s literary benefactor. 17 Such dedicatory prefaces are frequent in ancient writings, but similarities between Luke-Acts and the Aeneid add weight to the name as a fiction. Vergil had written his epic for Augustus, the divi filius, “son of the divinized” Caesar (cf. Aen. 6.792: divi genus). The similarities with the name Theophilus are striking: divi filius (son of the divinized); theo-philos (“ lover-of-God”). MacDonald, Dennis R. (2014-11-05). Luke and Vergil: Imitations of Classical Greek Literature (The New Testament and Greek Literature) (Kindle Locations 200-206). Rowman & Littlefield Publishers. Kindle Edition. As I said above, I also believe the author of Acts, or the final redactor of Luke and Acts emulated Israel’s history as found in Genesis to 2 Kings. I have also written in some detail on aspects of this argument and may do another post to set out the details alongside this one. Bonz, M.P. 2000. The Past as Legacy: Luke-Acts and Ancient Epic, Fortress Press, Minneapolis. MacDonald, D.R. 2014. Luke and Vergil: Imitations of Classical Greek Literature, Rowman & Littlefield Publishers. Kindle Edition. Tarrant, R.J. 1997. “Aspects of Virgil’s Reception in Antiquity” in C. Martindale (ed), The Cambridge Companion to Virgil. Cambridge University Press, Cambridge, pp. 56-72. Taylor, J. 2007. Classics and the Bible: Hospitality and Recognition, Duckworth, London. Virgil, The Aeneid, Translator W.F. Jackson Knight, Penguin. Posted on 2015-08-01 15:10:16 GMT+0000 by Neil Godfrey. This entry was posted in Biblical Studies and tagged Luke-Acts. Bookmark the permalink. Arguably Luke’s Gospel reflects a Rome-friendly attitude. In Luke’s gospel the greatest temptation in the wilderness did not imply that Satan possessed all earthy power, i.e. the Roman Empire. According to Luke the curse of the fig tree mentioned by Mark and Matthew gives way to a parable based on the idea that a withering fig tree could be revived. The symbol of the fig tree is a central aspect of the founder myth of Romulus and Remus. Then there is the strange reference to Quirinius that does not easily fit chronology of the years in which to locate the birth of Jesus, but the very name held a possible subliminal message that recalled the origin of the Quirites, the Romans. Vergil himself has been deemed a prophet of Christianity on the strength of his reference to the birth of a child who would usher in a new age of peace, the culmination of Roman history. Forgive my ignorance, but what is the “central” link of the fig tree with the founder myth of Romulus and Remus? According to Plutarch’s Life of Romulus, the she-wolf came upon the twins under a fig tree. As to what, if any, plausible connection there might be between the two legends other than the bare presence of a fig tree I have no idea. Many interpreters of the Bible make much of the fact that the fig tree stands as a symbol of the Jewish nation. The curse of the fig tree in the NT had a highly ambivalent implication as Christianity found a dual context in the history of the Jews and in the Greco-Roman world. It is at least arguable therefore that Luke omitted any mention of the curse of a fig tree, a highly enigmatic event in any case, and in effect replaced it by a parable with a more charitable import, not least with Roman sensitivities in mind.